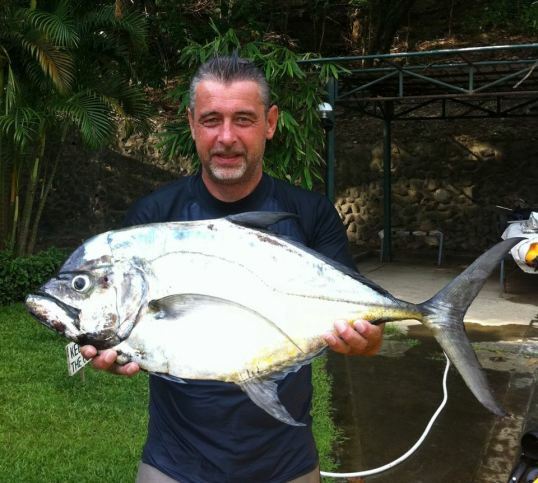 Here is a Longrakered Trevally or Cale Trevally caught by Serbi near Subic Bay while trolling some Rapalas. This is one of many species of fish known here in the Philippines as Talakitok (in Tagalog) or Mamsa (in Cebuano). These fish patrol reef edges all over around the country. Posted on September 21, 2012, in Trevally (Talakitok). Bookmark the permalink. Leave a comment.